Although publishing for the first time, B. C. JoneZ (AKA Auntie Barbara) has always had a secret passion for writing. As a senior level official in the government service of her native country Jamaica, she has had to keep this more light-hearted side of her personality well hidden to preserve her credibility. The author is now retired and makes her home in Canada where she can indulge her fantasy at will. Purchase your copy at Barnes and Noble . 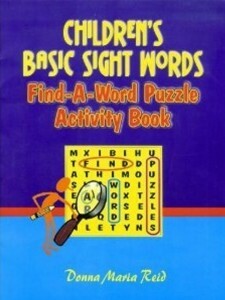 Donna Marie Reid has published a children’s book called – Children’s Basic Sight Words: Find-a-Word Puzzle Activitiy Book. This book is available at Amazon.com . 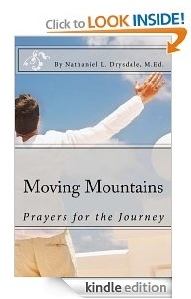 Nathaniel Drysdale has published his book. Description:Often times in our lives we are faced with challenges, situations, and plain old problems. We know about prayer. We think we know about God. We think we have this life all in control. Then, amazingly life just has a way of falling to bits and pieces around us. That is what this is about. The falling to pieces but more importantly the putting them back together. For the past few years I have been writing prayers. My prayer’s sometimes may have seemed simple, some really deep and some well they were just there. The prevailing theme is that these prayers got me through some of my most challenging times. If we are going to move mountains in our lives then we have to be mountain movers. One of the great things about a mountain climber is that they celebrate the times they made it to the top of the mountain as well as the times they almost did not because in each was an opportunity to learn. Because life is not about the winning and losing rather it is about the Journey to get there.